The vital role played by Polish exiles during the Battle of Britain, who represented one in eight Allied pilots and whose 303 Squadron boasted the best hit rate against the Luftwaffe, is today common knowledge. As is the role Polish forces played in breaking the siege of Monte Cassino, and the daring raid on Dieppe in 1942. A lesser known Polish contribution towards the Allied victory in 1945, but equally significant, is the battle that took place inside the minds of Poland’s finest academics to crack the German Enigma code. It all began in Poznań, namely in the mathematics class of the university. Ace students Jerzy Różycki, Marian Rejewski and Henryk Zygalski came to the attention of Polish intelligence services on account of their excellent German skills and sharp mathematical minds. Recruited to attend cryptology courses in Warsaw alongside 17 other Poznań University alumni, the three were set to work in 1932 on cracking German ciphers. It was here they made the first vital Engima breakthrough using a mathematical theorem since described as ‘the theorem that won WWII.’ On the day before the Nazi invasion of Poland the three fled to Romania where they immediately sought contact with the Allies. Originally they turned up at the British Embassy in Bucharest, but having been told to ‘come back in a few days’ decided to try their luck with the French instead. This proved more successful and from there they found themselves in France, working in Cadix, a secret intelligence cell operating in the unoccupied south. With the risk of discovery by the Germans growing greater the team were forced to flee. Różycki drowned at sea in 1942 after the boat carried him sank in suspicious circumstances, Zygalski and Rejewski however made it to Spain, in spite of being robbed by the man guiding them over the Pyrenees. More calamity followed: the pair were arrested by Spanish police and imprisoned, only freed the following year after intervention by the Red Cross. Seeking sanctuary in England they were employed in Boxmoor cracking simple SS codes. In spite of having done the groundwork that broke the original Enigma code their knowledge was not called on by the American and British codebreakers who were cracking new and improved Enigma codes at Bletchely Park, hence the vital Polish contribution has been allowed to fade in the memory. After the war Rejewski returned to Poland where he spent the rest of his days under scrutiny from internal security services, and working in a succession of menial jobs. When he published his life story in 1973 he became an unwitting superstar, and his work was finally recognised with a series of honours. He died in 1980, buried in Warsaw’s Powązki Cemetery. Zygalski chose to remain in England and spent the post-war years working as a maths teacher. He died in 1978 and is buried in London. Although the trio have since received numerous posthumous awards their role in winning the war remains a little-known fact in the West, a cause not helped by silver screen rubbish like the 2001 movie Enigma. Now, those visiting Warsaw can try their own hand at espionage and intrigue. Enigma Warsaw (www.enigmawarsaw.com) is an outdoor, activity-driven game aimed at groups of 4-40 people. Played out on the streets of the capital it involves problem solving and teamwork with tailor-made events lasting from four to six hours. 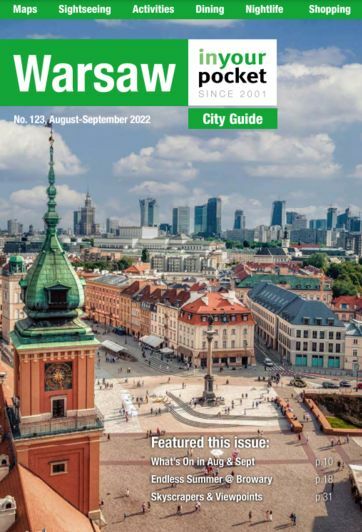 During this time you’ll see Warsaw’s most high profile spots, as well as ones you’d never have known about, making it a unique and adventurous way of learning more about the city. For more details visit the website www.staypoland.com or contact tel. 022 351 22 22.